Traditional anatomy is so static, but humans are constantly in dynamic movement – Anatomy Trains gives you the transmission from muscle to muscle through the fascial fabric. Thomas Myers’ Anatomy Trains® weekend intensives are holistic, fun and very useful. Anatomy Trains: Anatomy Trains was developed for the analysis of soft tissue patterns, helping you to understand the roles that the myofascial meridians play in your clients’ patterns and how you can start to unwind these patterns for long term results. 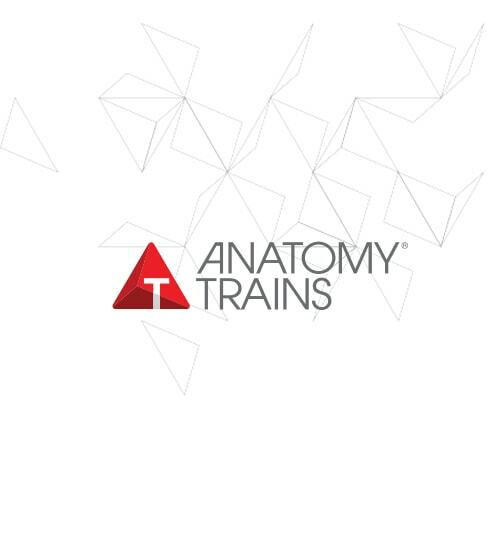 Anatomy Trains in Motion: Anatomy Trains in Motion has been developed by art of motion specifically for movement professionals who want to broaden their professional horizons and skills in anatomy and structural integration through motion. This course is delivered with your practice in mind. The days are filled with information relevant to both the movement and manual worlds, along with practical applications – you will have useful and usable skills by the end of the three days. Touch skills might not be a normal part of the movement therapist’s repertoire; therefore we encourage full participation throughout this course. You will gain palpation skills and deeper anatomical understanding, further assisting your visual assessments and movement prescriptions. A seamless and functional Slings Myofascial Training movement lesson, representing the interconnectedness of myofascial meridians (they are so much more than ‘lines’ that can be ‘superimposed’ onto exercises) in motion is also part of the course. As a manual therapist you spend a lot of time focusing on the posture and imbalances of others. ‘Stepping’ into your own body and experiencing anatomy in movement can bring many insights leading to greater body awareness when doing your own practice, as well as understanding your client’s movement patterns from a different point of view. Training techniques from our movement library to balance and awaken myofascial meridians.